Smartphone. Some of the latest Xperia phones from Sony Z series will be introduced in 2015. Moreover, the Xperia Z series are the mainstay of Sony to compete with high end products owned by other companies. Not surprisingly, they are ready to release a smartphone Xperia Z4, Z4 and Z4 Ultra Compact. And for smartphones Xperia Z4, the phone will still have a high specification. According to reports circulating and certainly has not been confirmed by Sony, the phone will use a screen measuring 5.5 inch Quad HD 1440 x 2560 pixels which is accompanied by 4GB of RAM. Furthermore, this phone is also going to use the wireless charging technology for battery charging facilities. Embedding wireless charging technology is said to be due to complaints from users of smartphones Xperia Z series which has microUSB. MicroUSB port has a lid which can be loose so that water resistance becomes questionable. 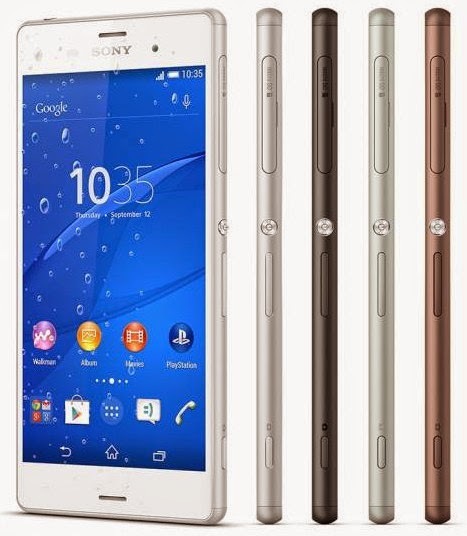 At the same time, the Xperia Z4 Ultra will come with a 6.4-inch screen Quad HD. Meanwhile, the Xperia Z4 Compact has a smaller screen, 4.6-inch full HD resolution. And of course, these phones will also have IP68 certification. And interestingly, these phones also reportedly will use Snapdragon processor 810 octa-core 64-bit 2.8 GHz processor speed.